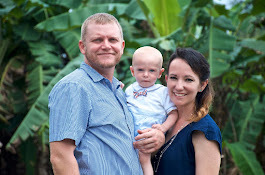 I don’t know if you have yet received our most recent prayer letter which was sent out a couple of months ago, however Becky and I are preparing to head to Peru on a short survey trip in either late March or early April. We will be doing this through Baptist Mid-Missions with whom we will be working when we head to Peru full-time. Previously, we planned on having our home church handle the funds, but it was determined that having the mission agency handle the money would be better. This survey trip will last for 3-4 months and will give us a good idea of the location and the ministries in which we will be involved when we go down as full-time missionaries. We need to raise some support for this trip, and because we are still in Korea and can’t return until the end of February, it makes it more difficult to raise the support we need. I am asking individual people who know us, to pray with us about supporting us. We are in need of $4,000-$6,000 for this trip, most of which will go toward airline tickets and a month-long trip to the jungle. The longer it takes us to raise the support, the more expensive these costs will become. That is why there is a $2000 gap in the cost. We know God is in control and if you can’t help, there are no hard feelings. Please pray for us, which is the greatest support you can provide! If you feel you can donate, I can pass on the information you will need, including how to use Paypal, should you want to use that form of payment. God bless each of you and your families this holiday season, and if you have any questions, please let me know.